Calling all girls who love conveniency and baby-smooth skin! 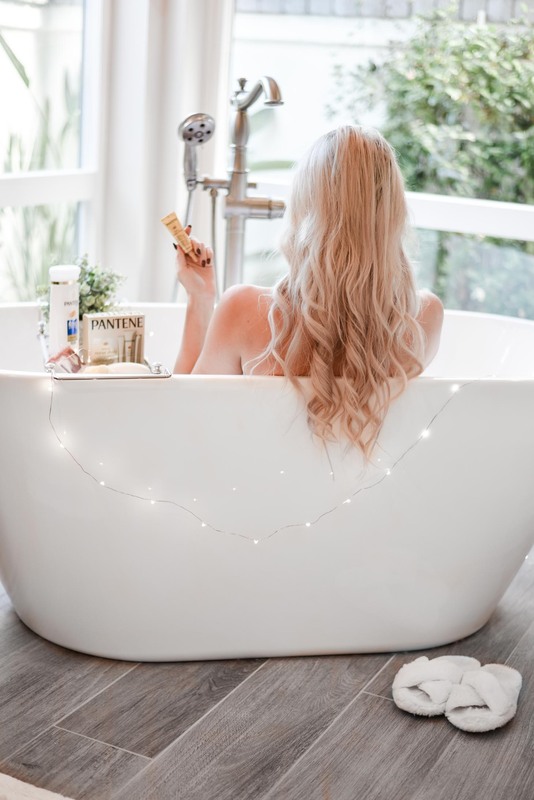 When I received the new Gillette Venus Direct monthly subscription box in the mail, I knew the days of embarrassing underarm and leg hair were a thing of the past. 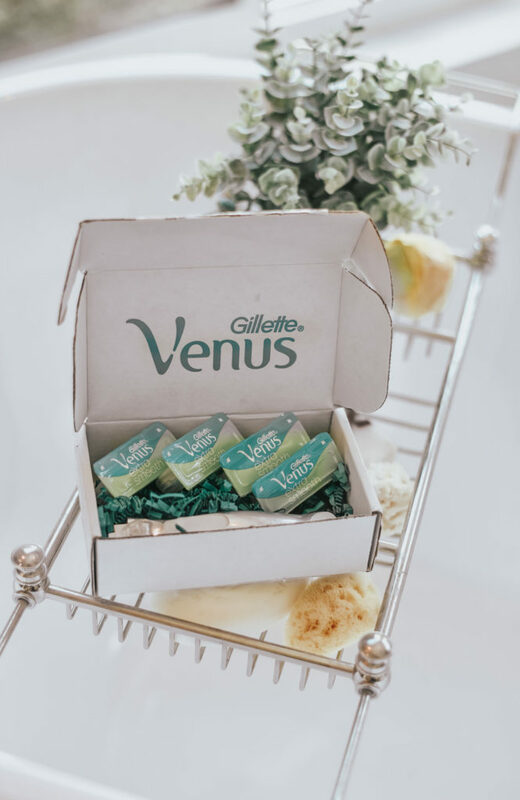 With a customizable Gillette Venus razor and four razor cartridges arriving at my door each month, I never have to worry about running low on razors again. Cause it truly is the worst thing when you look down at your razor and it’s dirty and disgusting. Now I know I will always have extra razors on hand whenever I need to trade them out – which is now every week with this great monthly box! The Gillette razor is designed with a platinum handle, creating a heavier and more sturdy feel when shaving. It’s ergonomic handle with FlexiBall technology allow you to reach all those hard to shave places (i.e., ankles, bikini area, etc.). The razor has three spring mounted blades with a lubrication strip for smooth shaving. The blades even have built in moisture bars full of body butter and a white tea scent. Yum! It truly is a one of a kind razor with lots of benefits for your skin! The other great thing about Venus Direct is that it’s completely customizable! You can pick your razor handle, blade type and any other extra features you may want. I love that! Truly a tailored razor just for you! So, what does it cost you?! Plans start as low as $10 per month (based on what you select) and ship to you for free. When you think about how much you spend at the grocery store or Target, it’s a no brainer in my opinion! Plus, you don’t have to worry about writing in on your grocery list and running to pick it up. This is so convenient! 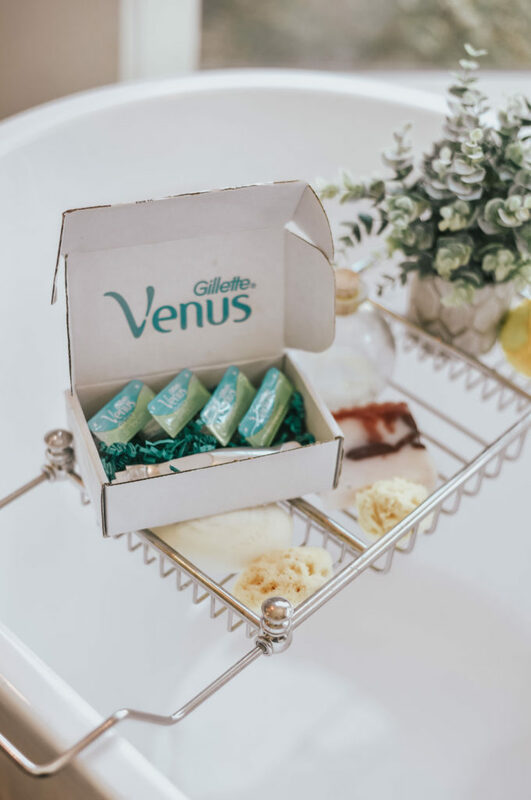 I absolutely love Gillette Venus razors and have been using them for years! I always forget to buy new razor cartridges and I’m ashamed at what my razor looks like sometimes. That is all a thing of the past now! Not only does this razor work incredibly well, it’s so convenient to get it all to my doorstep each month! Ready to try out Gillette Venus Direct? !